Various technology firms are working on a blockchain mobile phone. 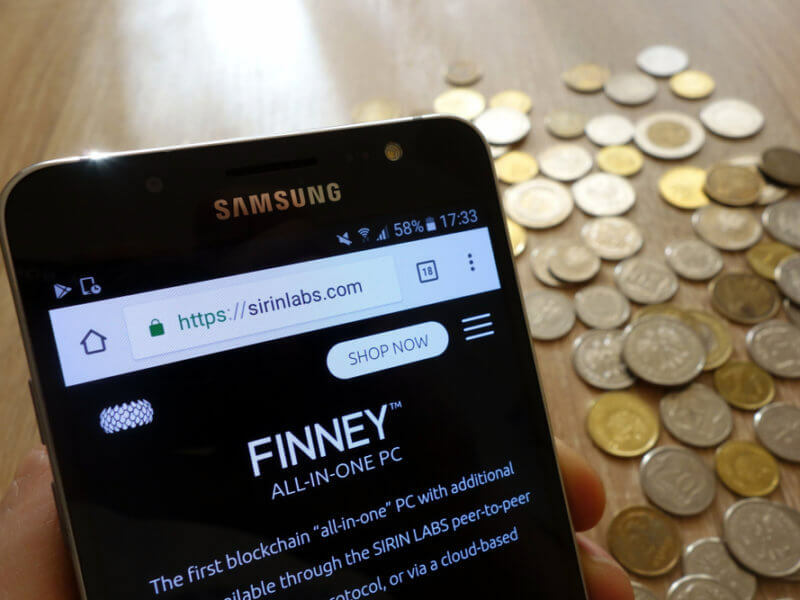 Sirin Labs has announced its cryptocurrency phone will come to market in November 2018. This $1,000 mobile device is expected to shake up the market quite a bit. It is possible to turn any existing mobile device into a cryptocurrency wallet. All one needs is the correct mobile applications and a way to make data backups. For some technology companies, the concept of a cryptocurrency phone looks very different. Sirin Labs is working on a device tailored specifically to the blockchain and cryptocurrency industry. Known as the Finney, this new device packs some punch under its slim casing. With its secondary display for cryptocurrency transactions, this device is in a different league. Sirin Labs claim this second screen has its own dedicated firmware separate from the rest of the device. Its built-in cold storage functionality lets clients keep their crypto portfolio safe at all times. Multiple currencies and tokens will be supported at launch. The device’s main operating system is based on Android. With Sirin Labs focusing on security and privacy, it is a more robust collection of code. Through this modified operating system, users can access a dedicated blockchain app store. Hardware-wise, the device is no slouch either. With a Snapdragon 845 and 6GB RAM, it can complete all tasks without stuttering. Naming this iconic phone after a Bitcoin pioneer is a smart move by Sirin Labs. Hal Finney is a legendary figure in the crypto industry. The device using his name will need to deliver on its initial promise. Security has to be guaranteed and convenience needs to be present. The list of provided features looks impressive, at least on paper. Sirin Labs will not be able to address all concerns. Storing one’s cryptocurrency portfolio on a mobile phone is not a smart decision. Devices often get lost or stolen, which can lead to catastrophic developments. Most investors may see such a device as a replacement for a hardware wallet but with some added functionality. Mobile phones dedicated to cryptocurrency will not go mainstream overnight. The Bitcoin industry has struggled for mainstream attention for nine years. Efforts by Sirin Labs may help improve that situation, but no big changes should be expected. Especially for the price tag of $1,000, the Finney is a very expensive device. Whether or not it can gain any real traction remains to be determined. Its initial $158 million sale round in late 2017 is a strong indicator that things may turn out alright in the end. Are you planning on buying the Finney? Let us know in the comments below.